Many people feel that the impact of technology and the pressure of the market economy on alpine communities leads to a loss of biodiversity, authenticity and cultural diversity, affecting animal husbandry, local food production, social networks and traditions. It is undeniable that "progress," "development" and "integration" are transforming working routines, recipes for dairy production and patterns of communication in rural communities. 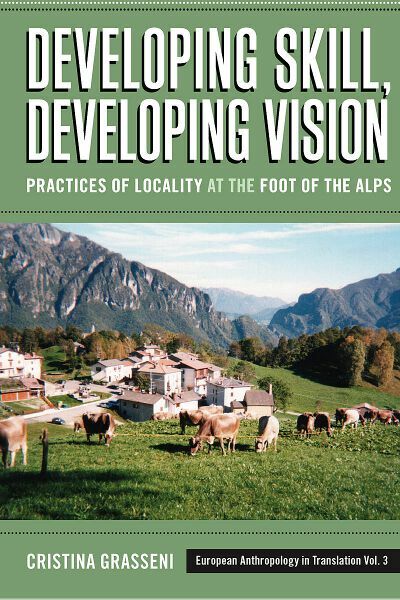 This book explores the many tensions at the core of present local practices and debates in the Italian Alps, highlighting the many transformations undergone within skilled practice and cultural heritage as a result of commoditization, professionalization and technification, with a special focus on the ways in which this also means, quite literally, changing one's vision of locality: of the landscape, of local products and of local animals. Cristina Grasseni is a Professor of Anthropology at Leiden University (the Netherlands). A Place at the Margins of Europe? Chapter 2. Blessed Be the Car!